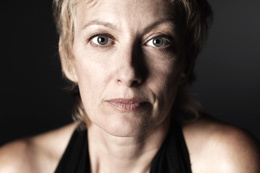 In 2003, Marie-Josée Chartier founded Chartier Danse in order to support her creative activities. She believes in bringing contemporary artists of diverse disciplines from the beginning of the creation to allow the development of layered, meticulous and integrated work and foster a level of communication that is central in accomplishing a strong artistic vision. Acclaimed large scale productions include petites danses 2014 (six dance works, 4 short films and 25 performers) at the Tank House, Toronto; Stria, solo performance by Chartier touring Canada (2011-13) Red Brick celebrating composer Michael J. Baker with Arraymusic (2010); Contes pour enfants pas sages with PPS Danse touring nationally and in Mexico (2009-15); Screaming Popes with fabrik Potsdam, Germany premiered in Potsdam and touring in Canada in 2007; Bas-Reliefs with Danse-Cité including eleven collaborators from Montreal and Toronto presented in Montreal and Toronto (2005). Chartier Danse would like to thank the following councils for their support through project and production grants. for their support through project and production grants.